Owned by Model Car World, a German company, since late 2011. 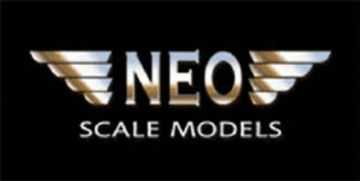 The Dutch company Replicars (owned by Jaap van Dijk) founded Neo Scale Models around 2009. They made high quality resin models, mostly 1:43 scale. The design of the models was mainly the work of an employee, Mark Asbreuk. After selling the company, the two of them went on to start Matrix Scale Models. You could say that Neo help fill in the gaps on the model market, since they offer many of the cars that nobody else (or very few) have made. Much of the focus is on everyday-cars, not the exotic supercars. Another example is the so-called 'microcars': others tend to make the popular ones like BMW Isetta and the Messerschmitt, but Neo offer some of the really weird (and often very ugly) ones you won't find anywhere else. With the US cars, focus is often of the 'big chunky bricks' of the 70s and 80s instead of the classic cars of the 50s and 60s. Neo also do the models that get updated, where others often only make the initial version, some examples: Saab 96, Saab 99, Triumph Herald/Vitesse, Audi 80/100, Ford Granada/Taunus/Capri. Yet another Neo-specialty is older Japanese cars... those that are too old for J-Collection, but too modern for Ebbro... cars like Toyota Celica, Mazda 323/626/929/MX-3, Mitsubishi Galant/Sapporo, Honda Prelude/Accord, Nissan Laurel and so on.